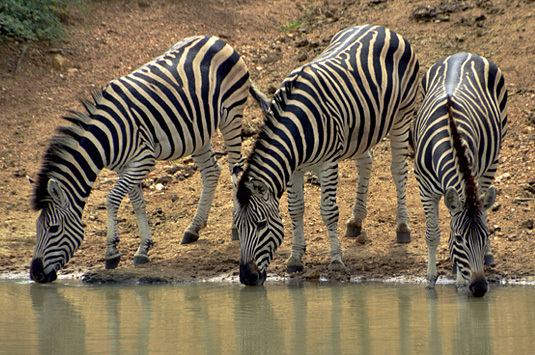 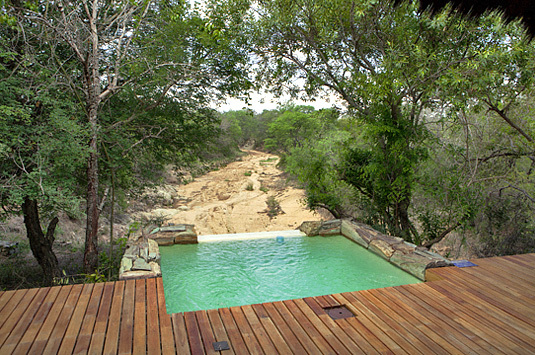 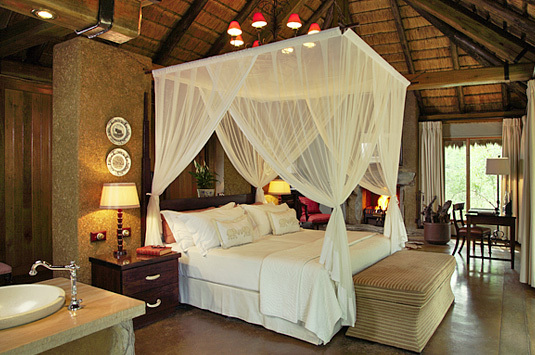 Camp Jabulani provides the perfect African experience. 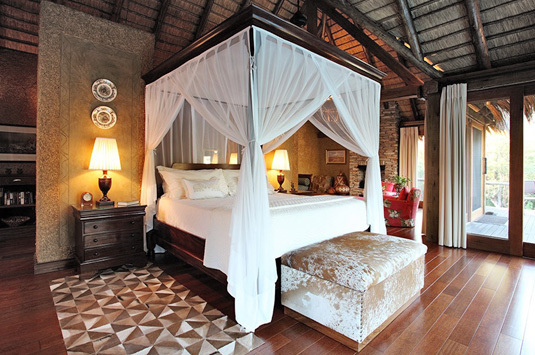 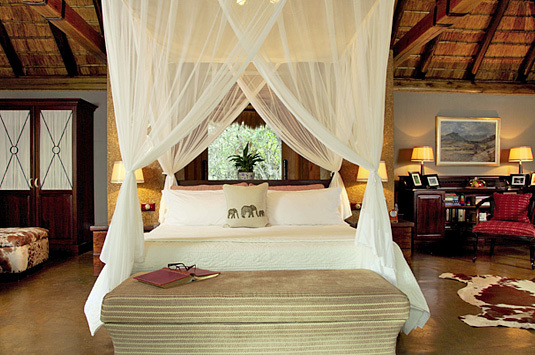 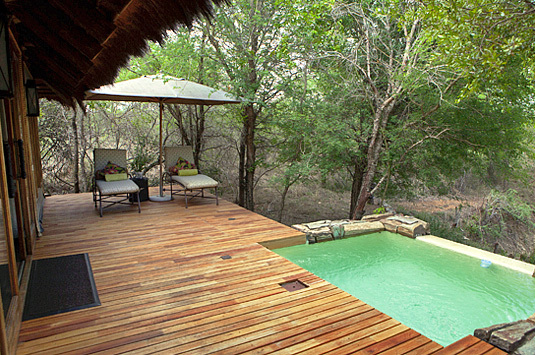 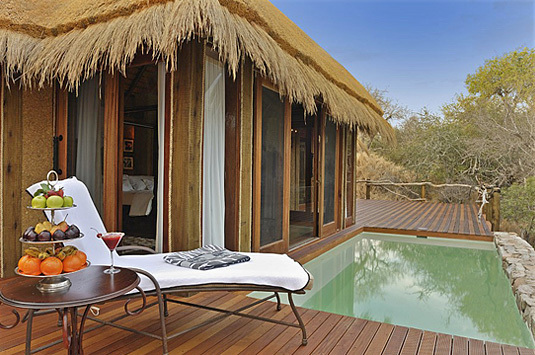 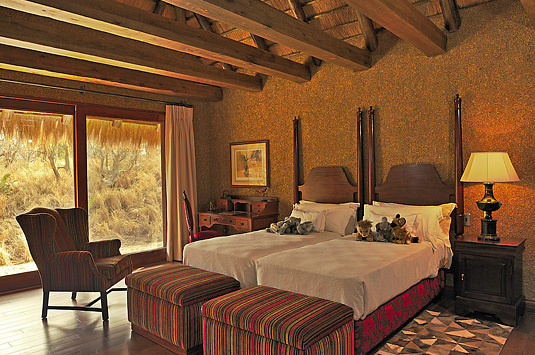 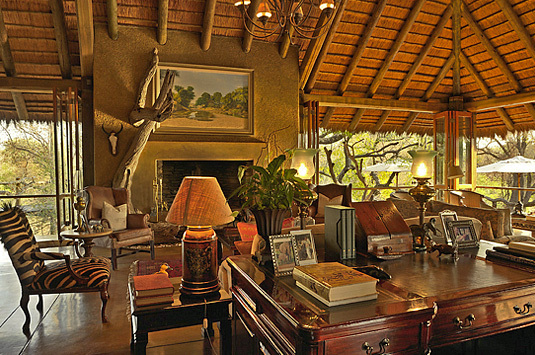 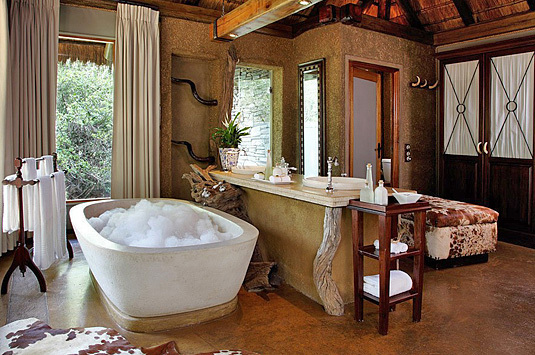 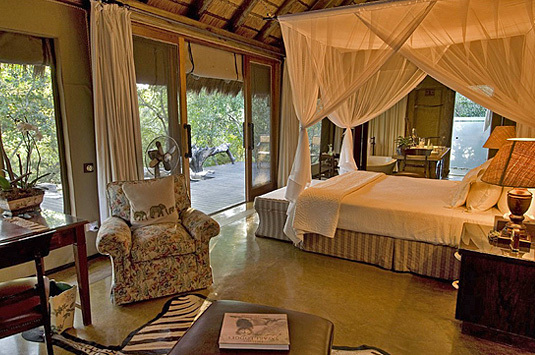 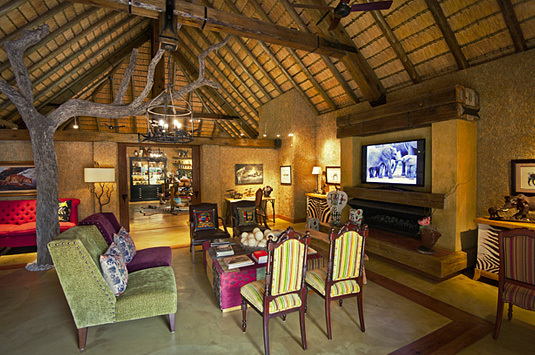 We offer our guests truly opulent accommodation to go with an unforgettable wildlife experience. 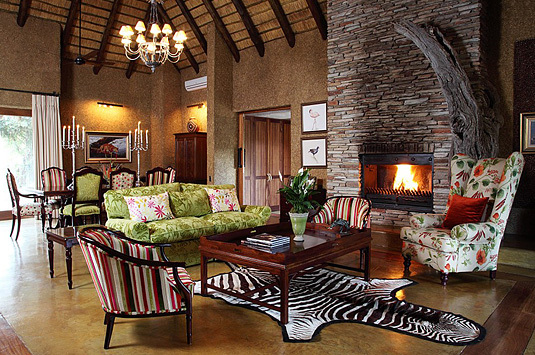 A 10 000 ha reserve, situated in the Kapama Private Game Reserve, Limpopo Province, covers prime big 5 game territory and has successfully combined the wilderness of the bush with the comforts of five-star hospitality and facilities. 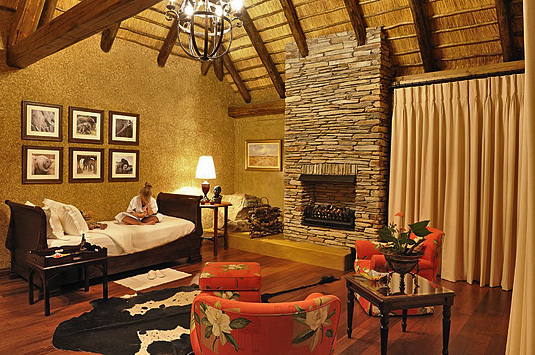 The reserve enjoys panoramic views of the nearby Drakensberg mountain range and is only 40 km from the Kruger National Park. 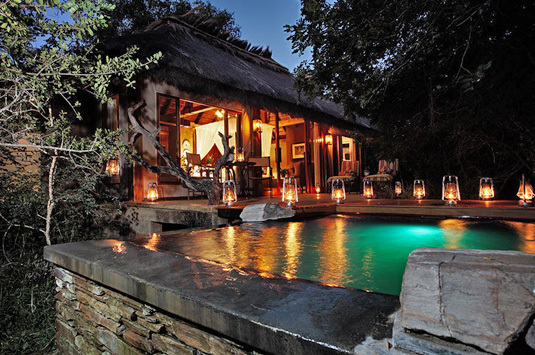 The reserve is central to most of the scenic areas of Mpumalanga and Limpopo Provinces. 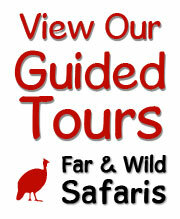 We do Elephant interaction walks and Open game Drives. 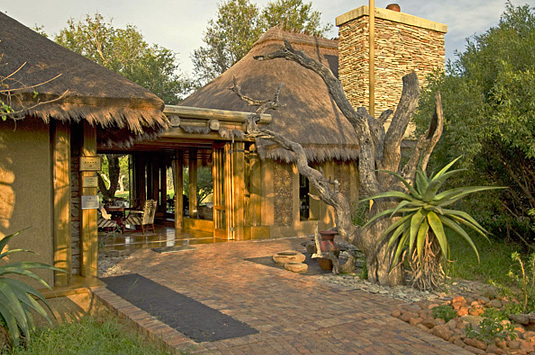 clay-pigeon shooting and a private visit to the world renowned Hoedspruit Endangered Species Centre. 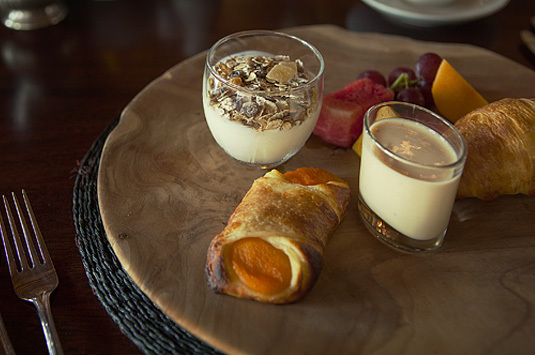 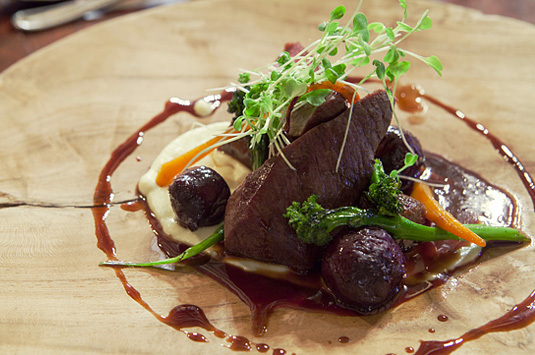 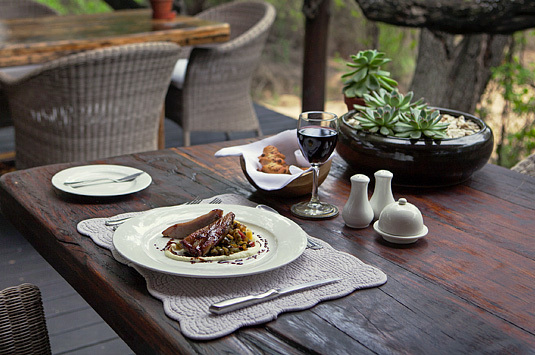 From lavish breakfasts and gourmet picnics to formal or riverbed dinners. 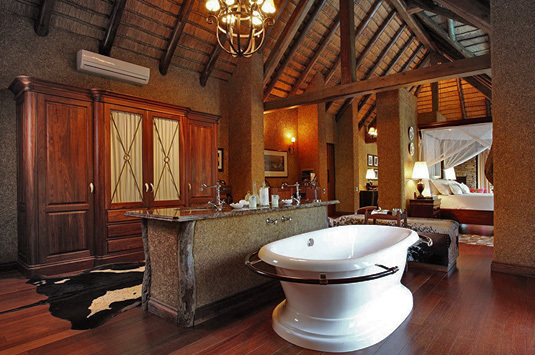 Each suite is discreetly tended by a personal butler to take care of guests' every need. 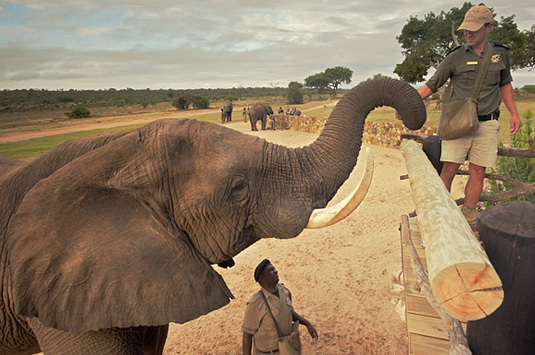 The Camp Jabulani Elephant Experiece is a very personal and highly immersive interaction, where man and elephant meet one another on equal terms. 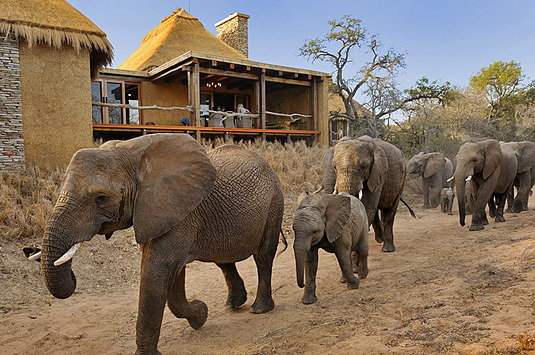 Guests will join a senior trails guide, a senior elephant keeper and their ranger to track the Jabulani elephants within the Big Five Kapama Private Game Reserve. 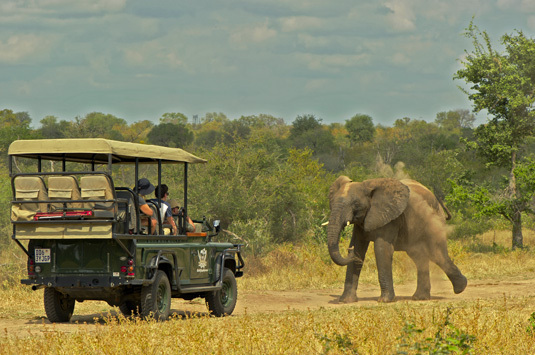 Tracking takes place from the comfort of a safari vehicle. 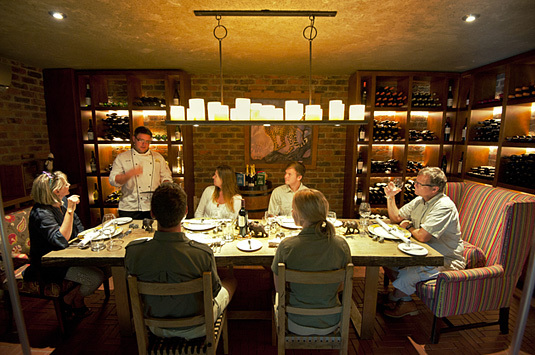 Under the guidance of the Jabulani team, guests learn how to use their senses to find the animals out in their natural habitat. 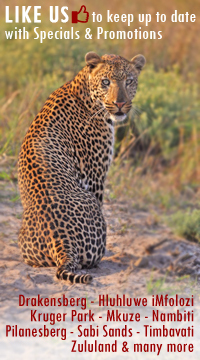 Once the herd have been located, the afternoon is spent watching them and hearing more about the their individual stories, their personalities and how to identify them. 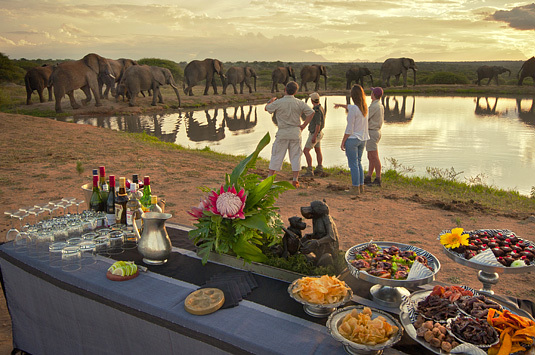 Guests meet up with the elephant herd as they enjoy their last drink at the dam at sunset. 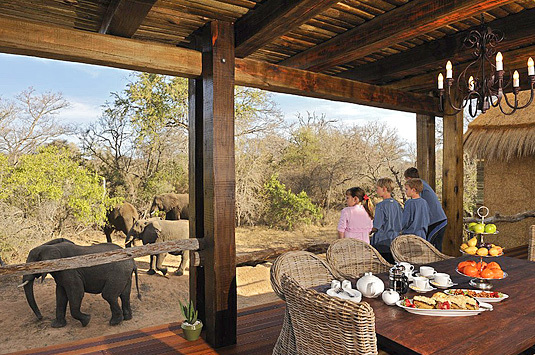 A very special moment, where the view is as beautiful as the sight of the animals in such a relaxed and contented space. 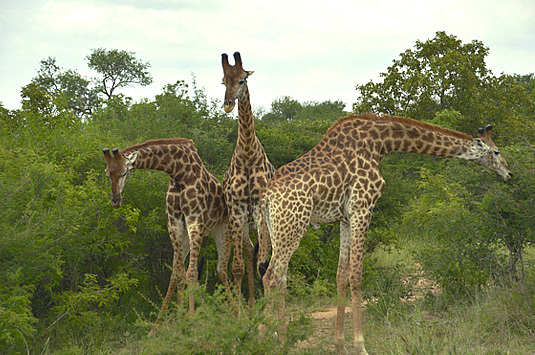 As the herd makes its way back to the stables, guests follow at a short distance (although Jabulani likes to linger behind with 'the humans'). 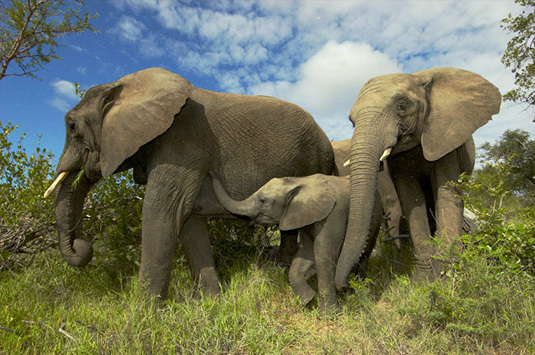 Did you know that an elephant's stress levels can be established and monitored through its dung? 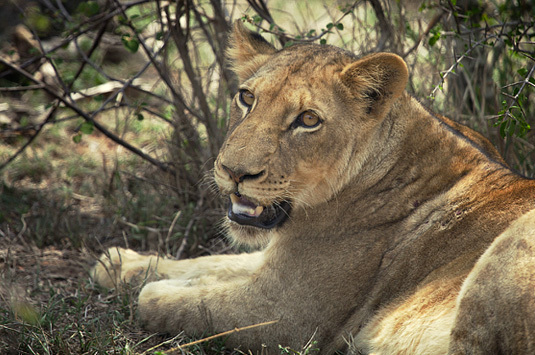 We have been conducting research for the last year, in an effort to understand the physiological and behavioral impact that human interactions have on the Jabulani herd. 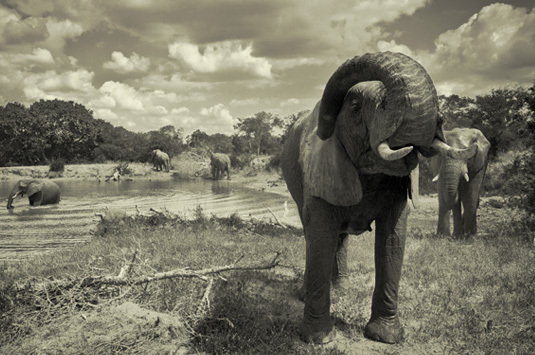 Although it sounds simple, it's an intensive and really fascinating process, based on the comparison between free-ranging elephants on the reserve, and the semi-captive animals in the herd. 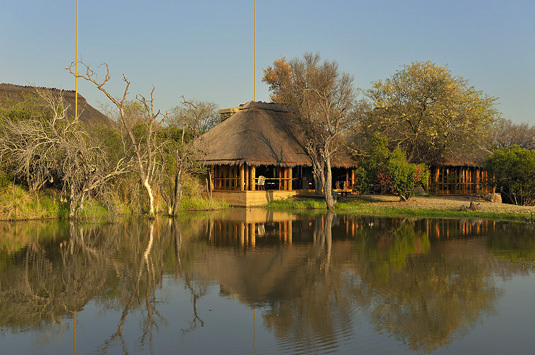 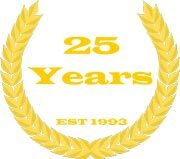 Air - daily flights from Johannesburg to Eastgate Airport, Hoedspruit. 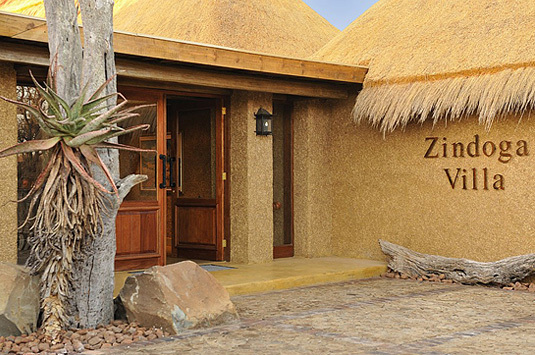 By road - approximately 480 km from Johannesburg.